To use this feature, you must use a Java enabled browser. 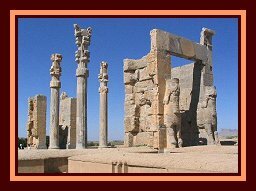 From the dawn of history, Persia has been a distinct and important cultural entity. Its position as a vast natural fortress, with mountain ranges, enabled the Persians to preserve their individuality inspite of the conquests by the Arabs (7th century), the Turks (10th century), and the Mongols (13th to 15th centuries). Today, Iran remains a country rich in traditions, with a culture which has had great influence on other countries, both in Central Asia, and throughout the world. 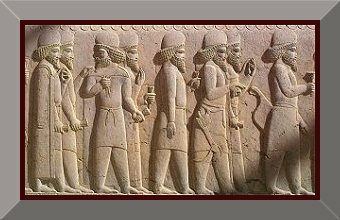 This section of Art Arena provides an insight into Persian history, art, and culture. New pages of interesting and informative facts will be added on a regular basis. Mailing list subscribers receive announcements of new pages of information.